one of my favorite memories is my first trip to london with my mom and grandma. my maternal grandparents lived there and my grandma took me there as a gift for my 16th birthday, to share with me a place she loved so much. it was on this trip that i discovered my innate love for rain, a ploughman’s lunch, and the perfect scone. i fell head over heels, to say the least (with the city and the baked good). as the rain would randomly begin to fall, we would quickly duck into the closest cafe and have ourselves warm cups of english tea with milk and platefuls of scones with jam and clotted cream. over the years and several trips, london remains one of my favorite places on earth and a good scone always reminds me of the times i have had there. scones can have so many wonderful additions like blueberries or strawberries, or made with different spices or glazes. but i am a purist first, and love a basic vanilla scone – one that has just the right amount of sweetness. these are not overly sweet, so you can serve them on their own or with jam. i make them different ways each time, but i love topping them with different kinds of specialty sugars. in the picture above, i used plain turbinado sugar and also espresso sugar. (in that batch i also used strawberry sugar and clove sugar.) if you can find them they are the perfect flavoring, but i think they are just perfect with plain, unflavored turbinado. 2. in a large mixing bowl, whisk together the flour, baking powder, salt, and sugar. in a small bowl, combine and whisk the cream and vanilla, then slowly add to the dry ingredients, while mixing to form a cohesive dough – but not a sticky dough. 3. lightly flour a clean work surface. place the ball of dough onto it and roll it out to 3/4″ thickness. using a biscuit cutter (depends on what size you desire) cut scones from the dough and place on prepared baking sheets, about 1 inch apart. 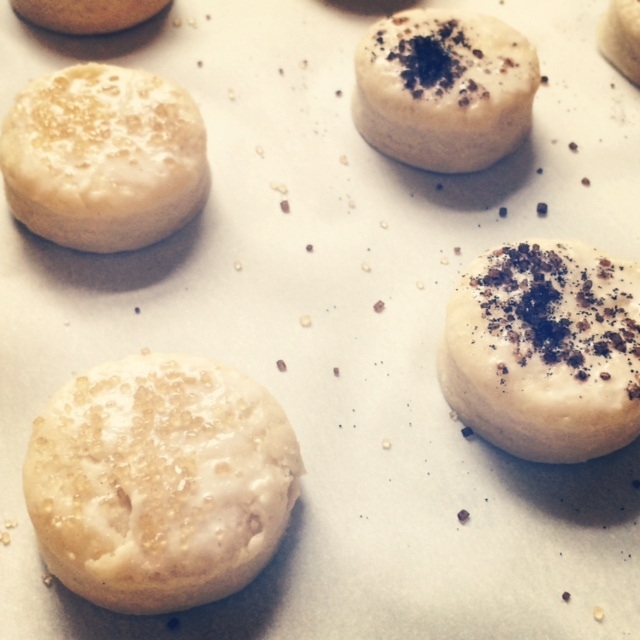 brush each scone with heavy cream or whole milk and sprinkle generously with sugar. 4. bake for about 14 minutes for larger scones, and 10-11 minutes for the small scones, until just beginning to golden on the edges. remove from the oven and serve warm. for her last 2 birthdays, the little she has requested a very specific dessert for her party. she has asked for “chocolate with strawberries“. as you know, if you read this blog, she is carazy about sugar. it has been said that sugar is her love language and i completely believe it. chocolate is at the top of her sugar list, especially cake and frosting that is of the chocolate kind. this cake recipe and this chocolate buttercream recipe are my go-tos – i never stray from these when i want chocolate cake and frosting. i have never found better. the cake recipe is a jacked up version of making a box cake – it has a perfect base and then with these add ins, is just as wonderful as made-from-scratch. actually, it’s better. 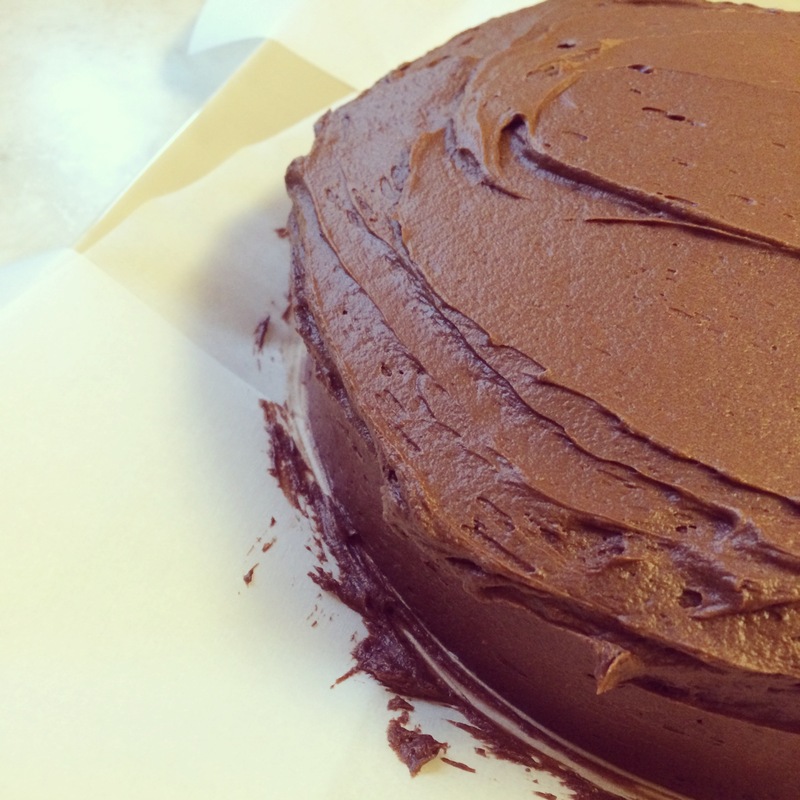 and this chocolate buttercream recipe is adapted slightly from joy the baker. you should look no where else EVER when you want to make chocolate frosting. promise me, mmkay? 1. position rack in the middle of the oven. preheat oven to 350. 2. coat 2 round cake pans with cooking spray (coconut oil spray is my favorite) or melted butter. line each on the bottom with a parchment round. then spray the top of the parchment round generously with the spray. flour both pans, patting out excess & making sure its covered evenly. 3. add all ingredients to a large mixing bowl and mix well. divide batter evenly among the 2 pans and bake for about 25-28 minutes, until a toothpick inserted into the middle comes out clean. 4. let cool on 2 drying racks for about 10 minutes. then invert the cakes into your hand, remove the parchment, and then return to rack to cool completely. 1. cream together butter, cocoa powder, and salt. scrape down the sides of the bowl and add powdered sugar, milk, and vanilla. as the sugar begins to incorporate, raise the speed of the mixer. beat until smooth. 3. now frost your cake!